Four star defensive end Khris Bogle (Fort Lauderdale, FL/Cardinal Gibbons HS) has declared his intentions to be a Florida Gator. 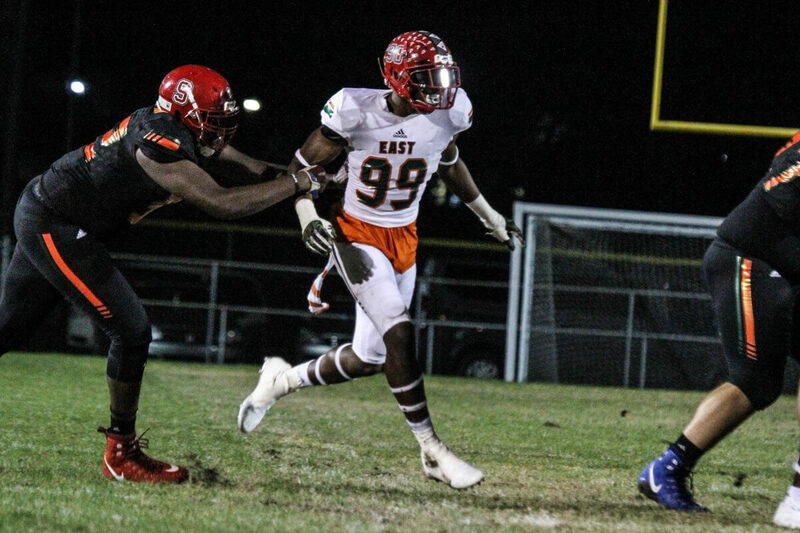 In doing so, Bogle flips from Alabama, to where he’d been committed since announcing his commitment at the All-American Bowl. He was also considering Miami. The addition of Bogle makes 24 commits for Dan Mullen’s 2019 class, and should bump the Gators up into the top ten of the 247 composite rankings at the end of the day. Part of that equation is the freakish athleticism he brings to the table; he’s explosive out of his stance and extremely powerful for such a slender guy. And this is all pre-Nick Savage, so the prospect of what he can look like once he goes through the Gators’ strength and conditioning program is extremely exciting. Florida still might not be done with its 2019 class, either, as Kaiir Elam remains at large. But even without him, this class has been a resounding success.